Swift river trout are notoriously picky and a little nonsensical. 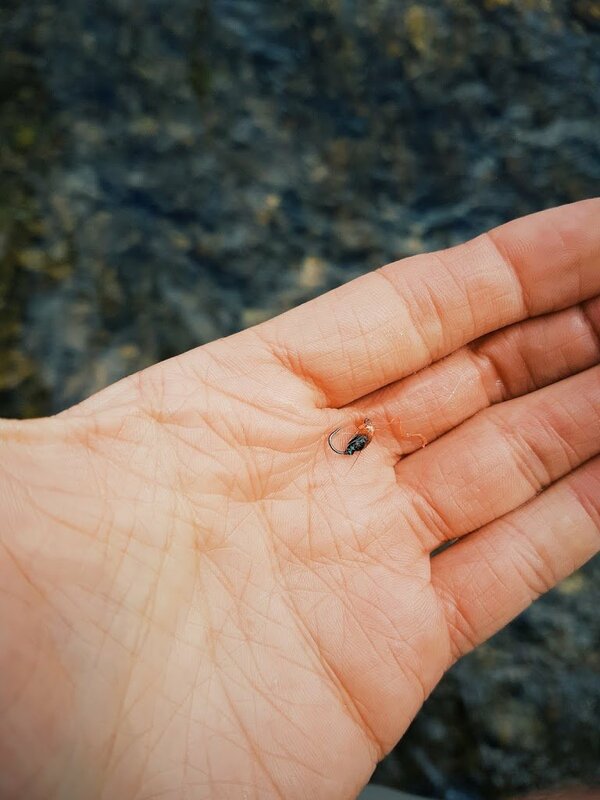 Most often, it can take time to find the right flies and techniques to convince these fish to accept your fly. Other times, I’ve seen them take some of the most ridiculous looking flies ever tied. In any case, it helps quite a bit to have a few staples in your back pocket. Over the years, I’ve developed a few old reliables that I feel are particularly effective on this river. 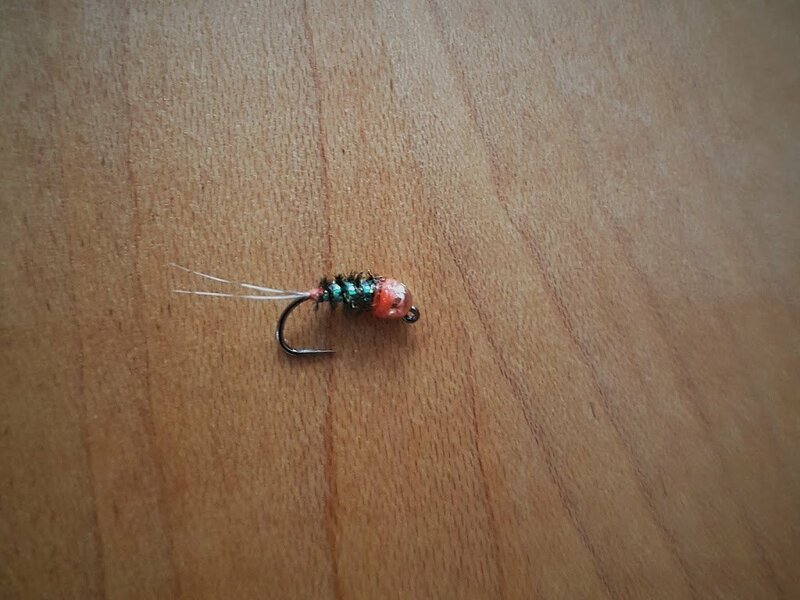 I’ve decided to post another one of these flies here so that others can experiment with it, and give it a try next time they’re out in the river. I’ve seen hundreds of flies tied like it, but wasn’t able to find an exact match for it. It seems to do well if you keep it small on the hook, and sinks quickly due to the slim body. Here’s one coming undone after a few trout. 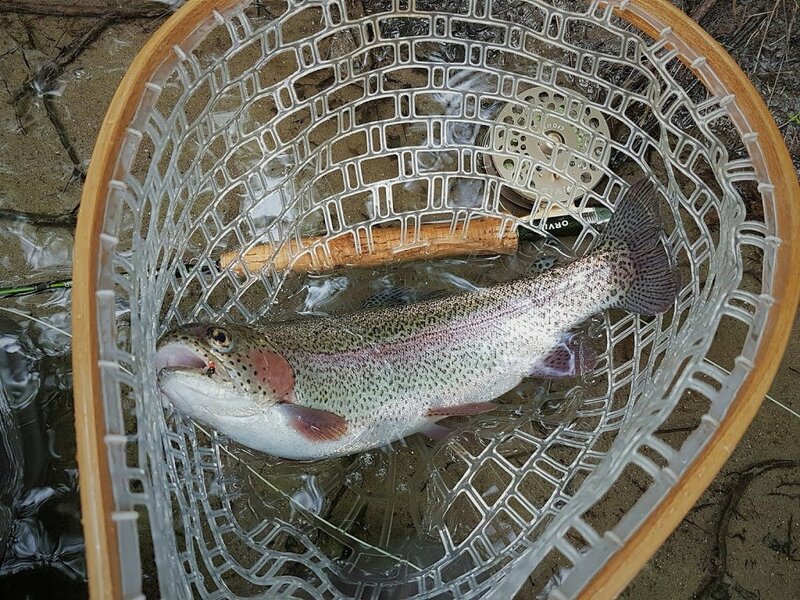 One of many trout duped by the above fly.